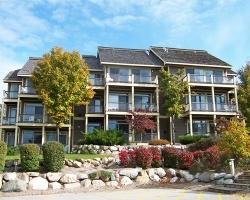 The *Vacation Club* lies next to five of northern Michigan's premier golf courses, including The Chief, Hawk's Eye, Arnold Palmer's The Legend, and a Tom Weiskopf course. Area amenities include an outdoor pool; private beach club; tennis courts; shopping; three restaurants; and a health club with a full Nautilus program, sauna, racquetball, steam room, and Wellness Spa. During the winter, ski, snowboard, or tube at Shanty Creek Resort, which boasts 41 downhill runs, a tubing park, and 19 miles of cross-country trails. Enjoy red season week 36 each year! Near a variety of activities! Buyer May Receive A Title Fee Credit, Inquire For Details!